Thomas Harley, in his will dated 11 June 1670, left money to be invested in land and property, with the rents to be used to build two houses, each of three bays, on a piece of land known as Brewett’s Hempleck, one of which was to be used as a schoolhouse and house for the master, and the other was to be an almshouse for six poor ministers’ widows. From the ongoing income from the lands, the schoolmaster was to be paid £40 annually, and was to teach up to 50 boys without charge, and £60 should go to the widows. Over the years the income increased, and the Court of Chancery agreed in 1761 that any additional income should be split, one quarter to the school master and three-quarters to the widows. 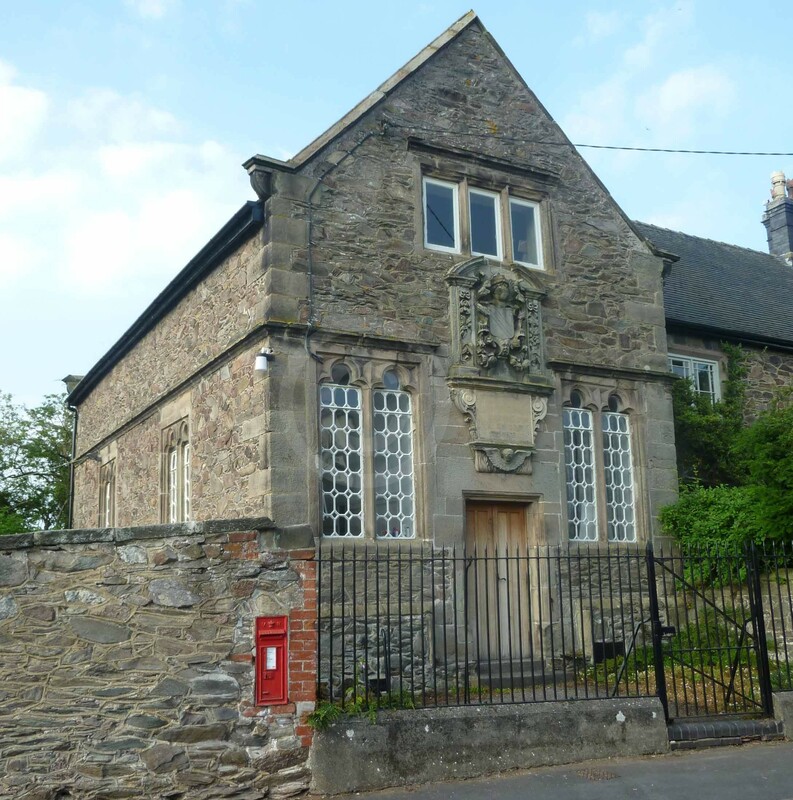 The endowed school mentioned above was providing a free education for 40 boys, and the master was now paid £120 each year, following the 1761 ruling mentioned above. There was also another school for poorer children, with 55 pupils. Comment was made that the poorer classes were in want of the means of education. Thomas Harley’s school continued, and could provide a free education to 50 boys from any parish, although it only had 20 pupils. There were also two other daily schools and a boarding school. One of these daily schools had 28 pupils, while the other, which had been established in 1832, had just 8 pupils. The boarding school had been established in 1825 and had 12 female pupils. With the exception of the endowed school, the others schools charged fees. There was a tradition to nominate an Anglican clergyman to be the master of the endowed school, and he could hold the post for life. He received the use of the house, schoolroom and garden rent free, a fixed sum of £40 annually and a proportion of the other income of the charity, giving him an annual income in 1839 of £107. He was required to teach up to 50 boys reading, writing, arithmetic, and also the classics and mathematics if required, without any charge beyond an admission fee of 2s. 6d. The books and stationery were provided by the pupils. Although no admission fee had been specified in the founder’s will, ‘it had always been the custom’ to demand it. The master had an usher to assist him, whom he paid out of his salary. The boys had to be over 8 years of age and able to read before joining; few stayed beyond the age of 14. It was rare to have a full complement of 50 free scholars, and in 1839 there were 42 on the books, with an average attendance of about 35; they were the children of small farmers, tradespeople and labourers, and none was being taught the classics or mathematics. The school could accommodate 60 pupils, and the master was also allowed to take paying pupils to fill the school, although there were only two fee-paying pupils at this time. Some of the land forming the endowment was in Hugglescote, Donington, Snibston and Whitwick, close to successful coal mines, and some land contained iron ore. The Charity Commissioners recommended in 1839 that the trustees applied to the Court of Chancery for power to exploit the mineral resources, and for a scheme to apply the increased income from those sources for charitable purposes. Only 5 children now attended the endowed school, and it was said that ‘A Boys’ school is much wanted’. There was also a mixed school and an infants’ school attached to the Anglican church, which 27 boys and 13 girls attended on weekdays, and an additional 5 boys and 12 girls attended on Sundays. The school had been partly funded by a grant of £35 from the National Society and the annual costs of circa £26 were met partly by subscriptions and partly by payments from parents. A Sunday school had started in 1820, and by 1833 was educating 29 males and 33 females, supported by contributions. There was a lending library attached, but its use was not confined to those attending the Sunday school. The only Sunday School was connected to the parish church. It had a morning and evening class which on 30 March 1851 were attended respectively by 50 and 25 Sunday scholars.